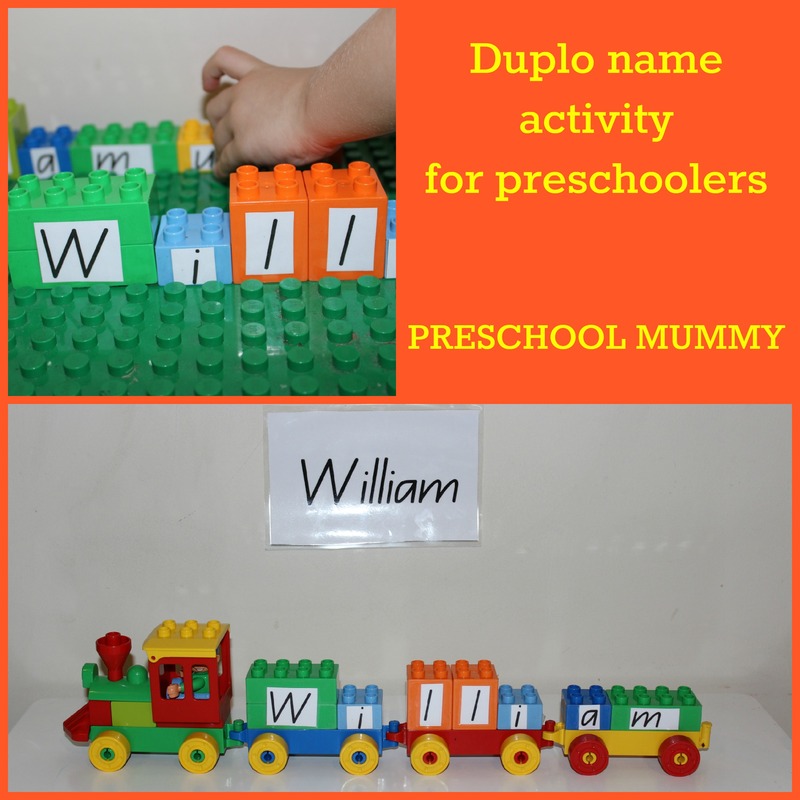 Teach your child to write his or her own name using Duplo! My four year old is Will. He always has been, from the time he was a squishy tiny newborn. We’ve reserved his full name, William, for formal events like his baptism, his wedding, his masters graduation or his debut into the A-League (ha!). For everything else, it’s just Will. If a teacher, carer or anyone else gets it wrong he politely corrects him or her. His identity is important to him, even at this young age. We’re totally cool with it. Well we were until now. He writes his name (Will) on all of his artwork. We want him to learn how to write his full name, so that he has that skill, even if he chooses to still use his nickname at kindergarten. Anyway, back to the ahem, war of Wills, pun intended. Game on, I thought. He loves Duplo. Which kid doesn’t? So I made up letter Duplo blocks for him, using printed letters and clear contact paper. I used different shapes of Duplo to reflect the shapes of the letters- wider bricks for wider letters, taller ones for taller letters. I wanted him to see the shape of the word as a whole word. This is important for young readers learning high frequency words, and your own name is pretty high frequency (that, and we’re not touching sight words until at least Prep, because I love Play). 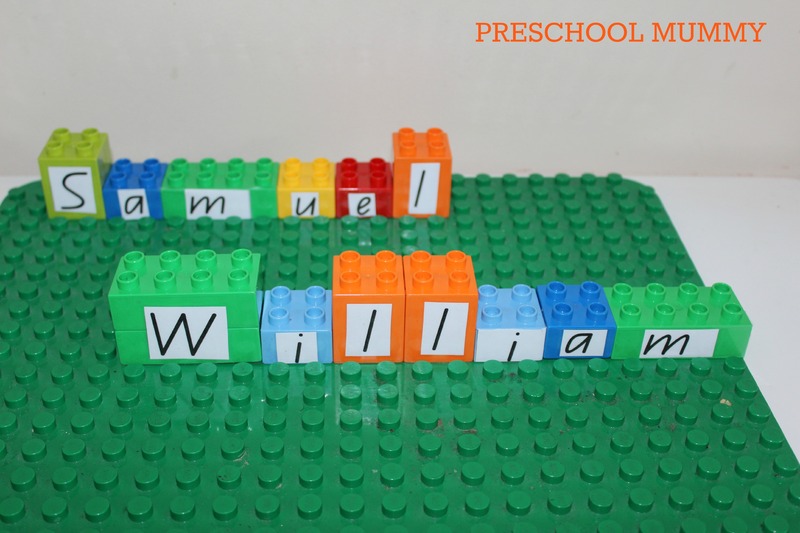 I also ensured that the repeated letters in his name had the same coloured brick attached to help avoid confusion. He loved it. It was a huge success. 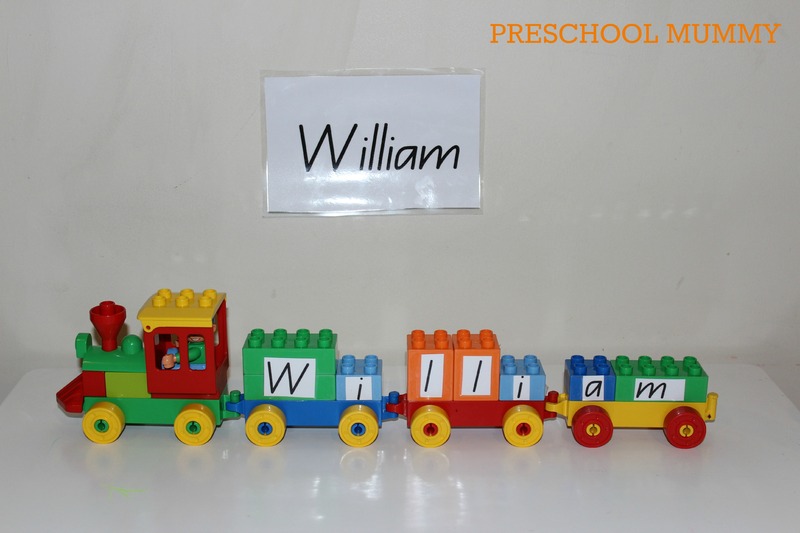 We played: making his name, his sibling’s names, breaking up the names to make their shortened nicknames, looking at the syllables by separating chunks of bricks, grouping the capital letters and the lower case letters, sounding out the three names. It was a lot of fun. He wanted to play more this afternoon so we painstakingly dug out the Duplo train kit from within the three huge boxes and made name trains. It was a blast.